Wow, can you believe it?! Your student’s junior year already marks the halfway point of their high school journey and is a pivotal time. Colleges and universities look closely at their grades, scheduled courses, and activities when making admissions decisions. For both students and parents, it is imperative to stay on top of the college preparation process both during high school junior year and the following summer. While there is not any one way to approach the tasks needed to prepare for college, we believe there are certain tasks that, when completed, will put your student on a path for success. Planning and preparation are essential components to accomplishing you and your child’s goals. Let us help you make that ride as smooth as possible! Here is our complete college prep list for high school juniors! Is your student in high school but not a junior? Click your student’s year for a checklist for them too! Continue to pursue scholarship opportunities and apply! *Junior year summer is ideal for mastering the scholarship process, slowly working through the 6-step process Doing so over the summer means you can have materials ready to reuse for senior year! 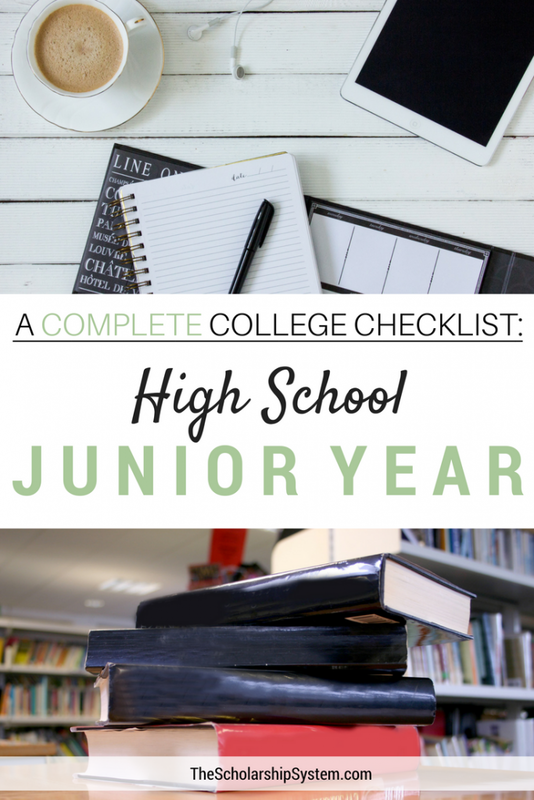 The post A Complete College Prep Checklist: High School Junior Year appeared first on The Scholarship System.